You can achieve this, but have you thought of achieving it in another country? 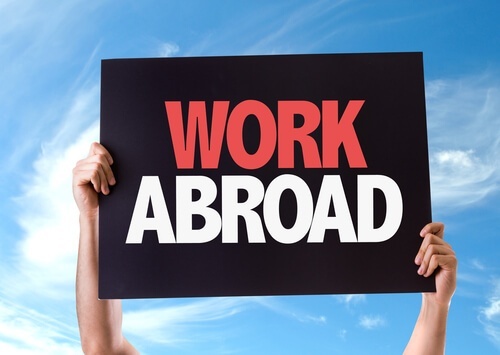 In recent years, we have noticed that a good number of American attorneys are moving overseas to practice law abroad. These relocations have been principally to London and Hong Kong. While many American attorneys may not consider moving to another country when they get out of law school, it is worthwhile to note that a legal career overseas may be a viable option for many American attorneys. Because BCG Attorney Search has American attorneys interviewing on an ongoing basis in London and Hong Kong, we believe that the international demand for American attorneys merits discussion. In November 2000, the American Lawyer reported that "at least 20 American law firms have more than 10 percent of their lawyers stationed in overseas offices." Attorneys with experience in international transactions are often highly in demand and very marketable to firms in London and Hong Kong. While there are thousands of competent transactional attorneys, there are only a handful of attorneys with international experience. Experience with another culture can also be quite helpful for those looking to market themselves overseas. This article discusses the market for American attorneys who are moving to different companies and settling in London and Hong Kong. While there are certainly many peripheral markets where American attorneys may have success in securing positions (the markets in Germany, Poland, China, Singapore, India, and Italy are quite strong at present), the majority of activity we pursue is confined to London and Hong Kong because these are the leading international finance centers of their respective continents. It should be noted that the purpose of this article is to discuss the types of American attorneys who have consistently been able to obtain interviews in London and Hong Kong. This document is geared solely toward American attorneys and not attorneys who are native to jurisdictions in either Asia or Europe. As the New Economy and the American legal market have contracted, the major London firms are expanding at a notable rate, and they appear to have a surprising amount of optimism for the future. Over the past year or two, the fees charged and the workload completed by London firms have increased. Additionally, a great deal of consolidation appears to be taking place throughout Europe, and this has been generating a great deal of merger and acquisition work for European attorneys. The first tier of firms in London is referred to as the Magic Circle firms. These five law firms are Allen & Overy, Clifford Chance, Linklaters, Freshfields Bruckhaus Deringer, and Slaughter May. Each of these firms, with the exception of Slaughter May, consistently hires American attorneys. The clients of these firms are every bit as elite as those of top New York firms. The Magic Circle firms are located in a similar area of London and are within walking distance of the 17th-century Saint Paul's Cathedral. In addition to the Magic Circle firms, several other native English firms in London, such as Lovells, frequently hire American attorneys. As many in the international legal community are aware, one of the first forays of English firms into the American legal market came when the United States Securities and Exchange Commission introduced Rule 144A in 1990. Rule 144A essentially held that it was permissible to sell European securities in the American market. In order to have access to this business, London law firms needed to be able to offer 144A advice to their clients. Accordingly, firms such as Linklaters, Clifford Chance, Allen & Overy, and Freshfields began rapidly establishing American offices and hiring American attorneys experienced in securities law who were willing to relocate to London. In considering how to move to another country, it is important to note that London firms are not interested in foreign attorneys who have gone to America in order to qualify for an LL.M. Additionally, London firms do not have any interest in career academics or junior candidates with minimal transactional experience, candidates with unexplained gaps in their resumes, solo practitioners, or older attorneys (unless they are top partners in the capital markets, derivatives, or M&A field and coming from elite American law firms). Senior in-house counsel are also not in demand. Given the differences in law between the British and American systems, litigators and real estate attorneys are generally not in demand at all, although there is a demand for real estate attorneys who have experience in securitization, secured lending, and real estate finance. Similarly, London firms have very little interest in American labor and employment attorneys. Attorneys with strong familiarity with intellectual property transactional matters garner some interest from firms in London. However, American patent prosecutors are not sought by British firms because most patent work in the U.K. is performed by patent agents (who are not attorneys). Because the securities market is volatile, many London firms have supplemented their securities work by having American attorneys work on international finance transactions. Much of this work has insulated London firms from the slowdown in capital market work, which is typically quite cyclical. Allen & Overy, for example, has been very strong in cross-border finance work with an American element and has been successful in transitioning American lawyers to this type of work during slowdowns in securities work. In addition to the Magic Circle London firms and second-tier London firms, there has also been some movement among American firms who have been expanding to London in an effort to service clients. Many of these American law firms are aggressively seeking American attorneys to staff their offices, in addition to hiring local talent. It is important to note that whether a given foreign office of an American firm may have a need for American attorneys is a product of the type of work performed by the firm. Just because a firm is based in the United States does not mean that it has a need for American attorneys. While the integration of American firms overseas has followed many paths, three examples of how this growth occurs can be seen through an analysis of the American law firms Clearly, Gottleib, Steen & Hamilton ("Cleary"); White & Case; Davis Polk; Sullivan & Cromwell; and Sherman & Sterling. Cleary opened its first foreign office in Paris, France, in 1949 to represent the French Purchasing Mission, the entity rebuilding France with Marshall Plan Funds. Once this office was open, the firm started seeing a lot of interest by American companies in investment and acquisition in Europe and began building up its office, drawing native French attorneys into its offices. Conversely, firms like Davis Polk and Sullivan & Cromwell do not attract or recruit local business. Instead, they focus their efforts on cross-border capital markets and M&A work for large international corporations. Accordingly, in transactions such as these, the involvement of American lawyers is often far greater than that of lawyers native to the countries they are operating in. More than 30 percent of Sherman & Sterling's attorneys are currently practicing in its overseas offices. While most of the attorneys stationed in Asia are American attorneys, the European offices are staffed with many more native attorneys than American attorneys. On the other side of the world in Hong Kong, there is also a tremendous demand for American-trained attorneys who are interested in moving abroad. In this entire region, there has been considerable growth recently. For example, since China opened itself up to the West in 1979, an estimated 113 foreign law firms have established offices there. Sullivan & Cromwell, for instance, recently did a $5.65-billion IPO-the largest in Chinese history-for telecommunications company China Unicom Limited out of its Hong Kong office (and out of a hotel room in Beijing). The lead Sullivan & Cromwell attorney on this transaction was Chun Wei, who was born and raised near Shanghai, attended Columbia Law School in the early 1980s, and joined Sullivan & Cromwell's New York office upon graduation. Wei was one of the attorneys who started the Hong Kong office of Sullivan & Cromwell in 1993 and helped grow it to where it is today. First, they are fluent in an Asian language. We are most interested in speaking with attorneys with demonstrated fluency in Mandarin, Cantonese, Japanese, Thai, or Korean. Second, the attorneys who are most likely to be placed in Hong Kong will have good quality transactional experience from a recognized and well-regarded American law firm. Preferably, the firm should be one that is widely known outside the United States. Third, an attorney is most likely to be marketable in Hong Kong provided he/she has at least three years of experience in debt and/or equity capital markets, derivatives, American securities (especially Section 144, Reg S issues), project finance, telecom, China practice (e.g., joint ventures/direct investment/IPOs in China), or high-quality and preferably international corporate work in such areas as M&A and joint ventures. It is important to note that for most American attorneys relocating to Asia, there are limits on what relocation packages are available, and it is very rare when a law firm in Asia will hire a candidate in Asia coming from the American market. Attorneys who are not marketable in Hong Kong are generally mainland Chinese lawyers who have a Western LL.M. or lack Western transactional experience. These attorneys are very difficult to place, regardless of how experienced they might be in the People's Republic of China. Academic lawyers with little transactional experience, litigators, senior in-house counsel, real estate lawyers of any kind, Malaysian lawyers without transactional experience from an international law firm, and sole practitioners are all unplaceable in Hong Kong. If an attorney would not be qualified to do the type of work he/she is doing for a major law firm in New York, he/she will not be qualified to work in Hong Kong either. When American attorneys are creating their moving abroad checklist, they should realize they are marketable in both Hong Kong and London. However, for the most part, it is important to note that the only attorneys who are likely to achieve success in switching markets are those attorneys who have significant transactional experience. In Hong Kong and Asia, language skills are particularly important; however, they are obviously not of major concern for American attorneys seeking to relocate to London. American attorneys investigating foreign law firms should not always assume that because a firm is an American law firm, it will be willing to hire them. In many cases, American law firms practicing overseas may have few lawyers working there at all. Surprisingly, there are native foreign law firms where an American attorney is far more likely to get employment than in the foreign office of an American firm. Traditionally, there has been a perception among lawyers relocating overseas that they are removing themselves from the partnership track. This is in line with the age-old wisdom that it is difficult to make partner in major firms without spending time in the home office. However, because business has picked up considerably and the branch offices of many of these firms are growing significantly, opportunities for partnership and growth do appear to be developing in both Asia and London for American lawyers. Additionally, many attorneys practicing in foreign offices of American law firms may also have greater access to management than if they were one of 300+ associates working out of the main office of their firms. For example, Wei of Sullivan & Cromwell made partner in the firm's Hong Kong office in 1997-four years after she transferred there. Similarly, in 1999, John Banes, an American associate who had worked in the London offices of Davis Polk since 1994, made partner. Similarly, American associate Show-Mao Chen made partner in Davis Polk's Hong Kong office in 2000, and Yingxi Fu-Tomlinson, who runs Kaye, Scholer, Fierman, Hays & Handler's Shanghai office recently was elected partner as well. We have spoken to several American attorneys practicing overseas, and each appears to feel that he/she is having a good experience. However, it is important to note that relocating overseas is a difficult decision and can be very risky. When a country is prospering, lawyers with experience in a needed practice area can be in high demand, but work in an economically volatile region such as Russia can dry up very quickly, and lawyers will be forced to seek out new positions. Accordingly, any attorney relocating overseas should always approach his/her search carefully.